On Thursday 07-30-2015 at 3:28 PM, Lapeer County 911 received a call from an individual at the Metamora- Hadley Recreation Area on Herd Road in Metamora (Lapeer County’s Hadley Township) regarding a male subject that was missing while swimming in Lake Minnawanna. Troy Paxton age 17 from Flint and his 18 year old friend from Burton visited the Metamora- Hadley Recreation Area. Paxton and his friend were attempting to swim across the lake. The friend reported that Paxton experienced physical exhaustion near the center of the lake. The friend unsuccessfully attempted to aid Paxton keep afloat. The friend was in the process of getting a boat when Paxton disappeared. The Lapeer County Sheriff’s Dive Team was activated and responded. Divers encountered wind gusts which hampered operations. Dive team members located and recovered Paxton (deceased) from the water around 6:15 PM. Family members were notified during the search and on scene when the recovery occurred. Preliminary investigation does not suggest foul play is a factor. This case remains under investigation by the Lapeer County Sheriff’s Office. 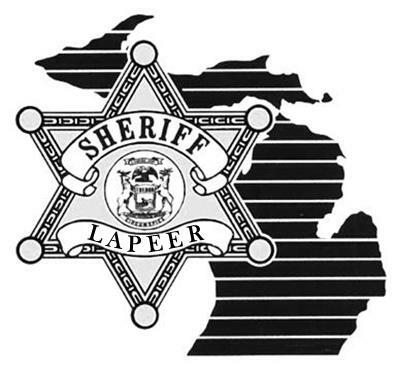 The Lapeer County Sheriff was assisted by DNR Park Rangers, Metamora Township Police Department, Michigan State Police from the Lapeer Post, Hadley Township First Responders and Fire Department, Lapeer County EMS Ambulance Service, and Lapeer County Central Dispatchers who coordinated efforts.